When her grandmother is too ill to fulfill a birthday tradition, thirteen year-old Jalen finds herself in the creepy voodoo shop alone. Jalen is ready to storm out after another disappointing and ill-fitting reading for her sign, but she is strangely drawn to a mysterious book sealed by an ornate lock. 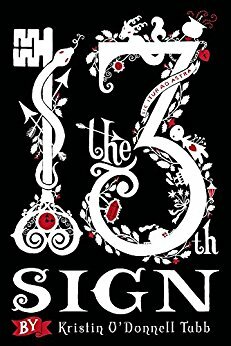 Too late Jalen and her friends discover that opening the book releases the thirteenth sign, causing a shift in the personalities of everyone on the planet and unleashing the other twelve signs, sworn to protect Ophiucus, the thirteenth. Now Jalen must fight the twelve, for only by defeating the other signs will she survive and restore order to all. O’Donnell Tubb writes a fast-paced and highly entertaining story which will appeal to fans of Rick Riordan’s novels starring Percy Jackson and friends. This is a story of friendship, loyalty and destiny loaded with fun characters and desperate battles. Jalen’s grandmother believes strongly in horoscopes. Jalen herself is skeptical until she must face and defeat a physical manifestation of each sign. Tagged Feiwel & Friends, Horoscopes, Kristin O'Donnell Tubb, The 13th Sign, Zodiak. Bookmark the permalink.